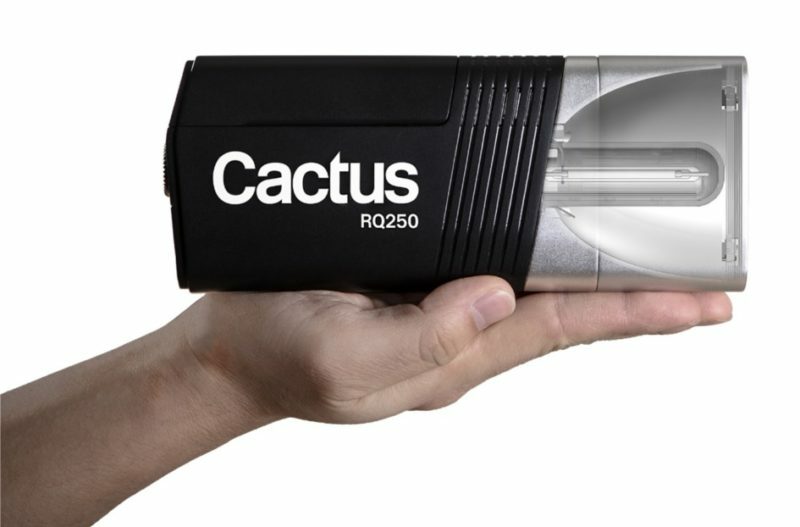 Cactus Image, the company behind the V6-series radio triggers, has announced a new 'palm-sized' portable flash, the RQ250. 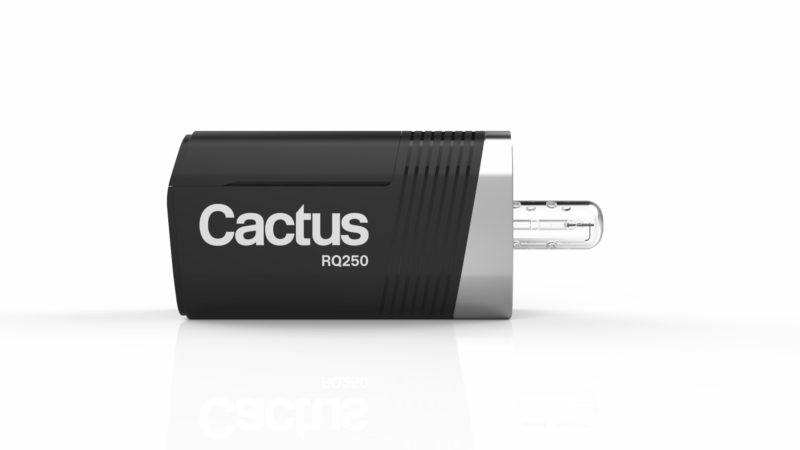 Cactus Image, the company behind the V6-series radio triggers, has announced a new ‘palm-sized’ portable flash, the RQ250. The unit appears to be pitched as an alternative to the Godox Witstro AD200 (Flashpoint eVolv 200) and the SMDV BRiHT-360 — both multi-purpose battery-powered flashes that lie somewhere in between a speedlight and a studio light. 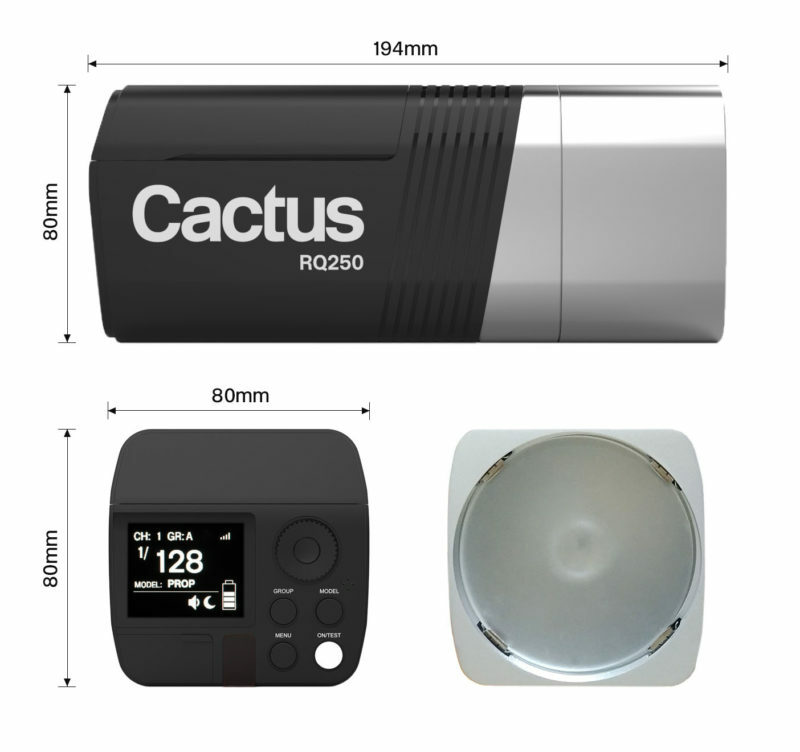 The 250Ws Cactus RQ250 has a removable standard reflector with a frosted glass lens, designed to minimise hot spots. The unit runs on a removable lithium ion battery (up to 400 full-power flashes on a single charge) and has built-in 2.4 GHz wireless TTL support via the company’s V6 II and V6 IIs flash triggers. The unit is cooled by a fan, which comes on automatically when the body reaches a certain temperature, or when the LED modelling lamp is active. The uni-body design is a bit like the Godox Witstro AD200. Apart from the standard reflector, the RQ250 — unlike the Witstro and BRiHT series — doesn’t have a range of light-shapers that fit directly. According to the manufacturer, initial accessories will include a set of clip-on colour gels, a honeycomb grid and a snoot, which attach to the reflector. For everything else, a Bowens S-mount adapter will be available. With built-in Cactus V6 II(s) capability, the RQ250 will support high-speed synchronisation and TTL with a wide range of camera systems. Pricing has yet to be announced. 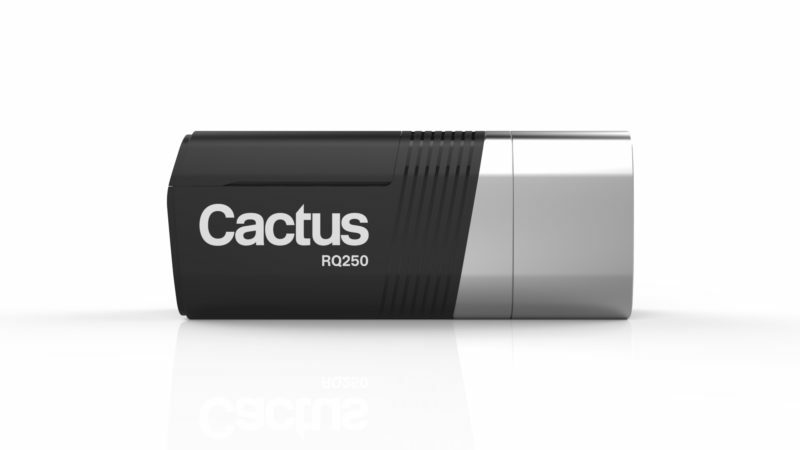 The Cactus RQ250 is “scheduled to be available” in summer 2018.